Why do apparently promising sales opportunities go wrong so often? Why do close dates speed past, get reset and then repeat the cycle? Why do so many sales forecasts bear so little relationship to reality? Rick Page, founder of The Complex Sale offered sound advice in the title of his deservedly best-selling book: “hope is not a strategy”. To which I’m inclined to add “and ignorance is no excuse”. Page was right. Hope is not, and can never be, an effective strategy. The word should have no place in our sales vocabulary. But I’ll wager that the H-word is still being used every day in countless conversations between sales people and their managers. Hope is worse than worthless. It encourages sales people to relax in the comfort of untested assumptions. It prevents sales people from recognising that they know less than they ought to about the reality of their customer’s situation. Pipelines are bloated by opportunities that are never likely to go anywhere. Assessments of our competitive position are biased by over-positive assumptions of our strengths and over-negative judgements about our competitors. It happens, in part, because sales people don’t want to ask tough questions for fear of what they might find. And so rigour is replaced by conjecture. Strategy is replaced by hope. And the subsequent excuses are fuelled by ignorance. But it doesn’t have to be that way. Top sales performers have too much respect for their own time - let alone that of their colleagues - to waste it tilting at windmills. They qualify hard. They verge on the paranoid in their commitment to anticipate and eliminate potential problems. They never rely on comfortable, untested assumptions. They hold themselves to account. And even competent if unspectacular sales people can achieve something similar, if they are supported by sales managers who encourage their team members to ask tough questions of themselves, and who constructively challenge them when they appear to be relying on hope rather than something more tangible. Detailed discovery and robust qualification are the antidotes to unjustified hope. They give sales people a frame of reference that enables them to make decisions based on observable, verifiable facts and to implement strategies that are likely to advance the prospective customer’s decision-making journey. They prevent sales people pursuing every inbound RFP without first assessing their realistic potential. It stops them being so blindsided to the attractions of an opportunity that they ignore the very real obstacles that stand in their way. They allow sales people to focus their energies on the things they can influence, and on the opportunities they can win. It encourages them to qualify out opportunities that offer little chance of success. They serve to eliminate that awful feeling when a prospective customer complements us on the quality of our proposal and the enormous effort we have put in, and then tells us that we came in second - as if that was ever likely to make us feel better. We need to recognise what we know and what we don’t know. We need to act on our knowledge and take steps to eliminate our ignorance. We need to avoid false expectations and seek well-informed confidence. And we need the discipline and self-confidence to qualify out opportunities that are no more than "hopeful". 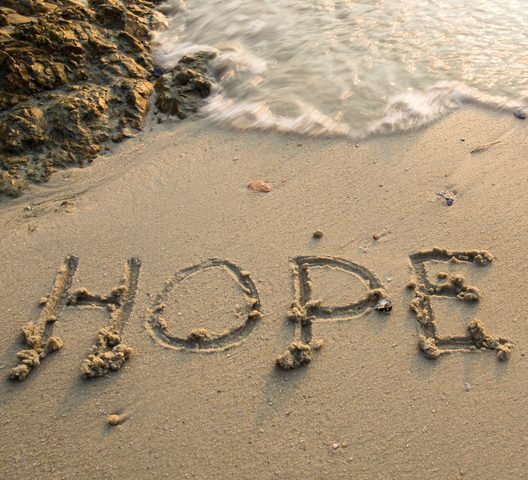 We need to conclude that hope is not, and can never be, an effective strategy.